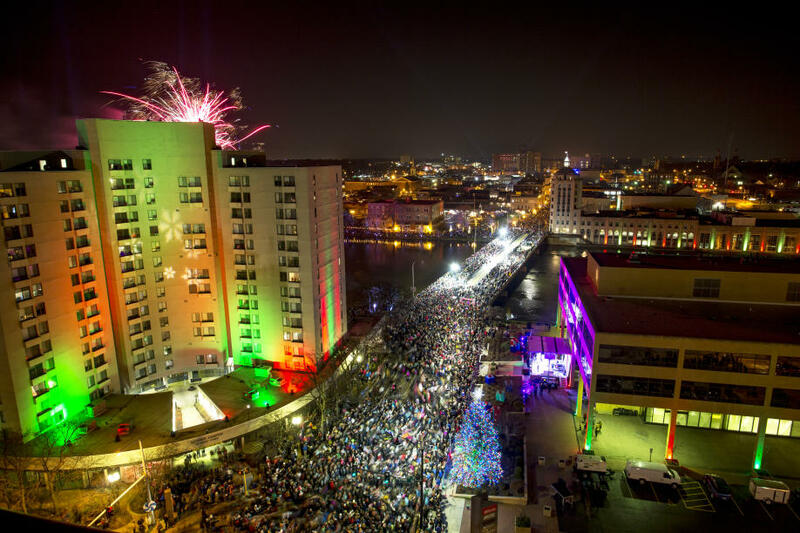 It&apos;s that Merry & Bright time of year once again where the Rockford community gets ready for another festive and fun Stroll on State, presented by Illinois Bank & Trust! The event takes place on November 25 (always the Saturday after Thanksgiving) and this year we have expanded hours from 2 p.m. - 9 p.m.! There&apos;s so much to see and do the night of so we decided to put together some helpful hints that you can use to create many happy memories with family and friends. 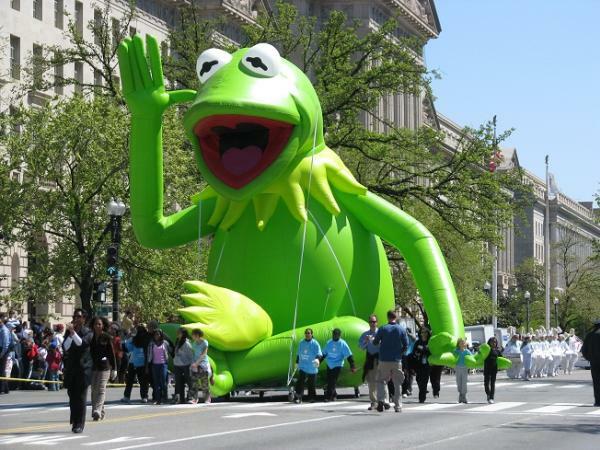 This year&apos;s parade is super-sized! 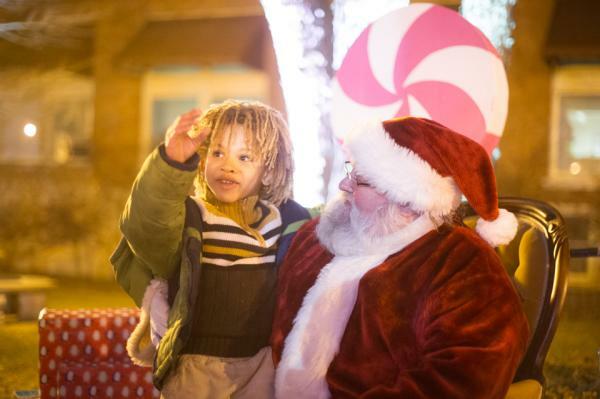 Stroll on State&apos;s Holiday Parade sponsored by The Power Connection - IBEW 364 & NECA, will step off at 3 p.m. and stroll from the Rockford Public Library on Wyman Street south to State Street and then east across the State Street bridge and ending at N. 3rd Street. Featuring festive floats, high school bands and a few extra surprises, the parade is a new highlight of the event. In addition, our partners at WREX Channel 13 will broadcast the parade live from start to finish. As the event grows, so do the great food and drink vendor offerings throughout the festival grounds. Stop by Frosty&apos;s Bites & Brews Market sponsored by Mercyhealth to sample a wide variety of offerings from local food trucks and restaurants. Frosty&apos;s markets are located at the Rockford City Market Pavilion and the parking lot at the corner of N. Main and Mulberry Streets. Illinois Bank & Trust is providing ATMs at several locations on the Stroll on State grounds for your convenience. You can find the ATMs between Wyman and Main Streets, at the City Market Pavilion, near the Hot Chocolate Express, at the corner of E. State and 1st Streets, and near the Kringle Cafe located at State and 3rd Streets. There&apos;s not only one, but TWO SantaLands produced by City First Church! One location is west of the river inside Stewart Square and the other is outdoors on the east side of the river by Millennium Fountain. No need to worry, Santa will work his Christmas magic and be at both locations, so be sure to get those Christmas lists ready. Stroll on State is perfect for the whole family, even the little ones! There are a couple indoor locations on site for nursing mothers and diaper changing stations. If you don&apos;t want to worry about parking downtown the night of Stroll on State, there are three shuttle buses you can take! Pick up a shuttle bus at the YMCA downtown (200 Y. Blvd. ), Heartland Community Church (1280 S. Alpine Rd.) or Illinois Bank & Trust (4048 E. State St.). Park at any one of these locations and a bus will bring you directly to the Stroll grounds! There are three music stages throughout the grounds this year! The Merry & Bright Stage sponsored by SwedishAmerican, a division of UW Health, as well as the Silver Bell Stage and the Jingle Bell Stage, both sponsored by the Northwestern Illinois Building Trades Unions. In addition, selections from the "Nutcracker Suite" will be performed by Steps to Grace Dance Academy at Veterans Memorial Hall. 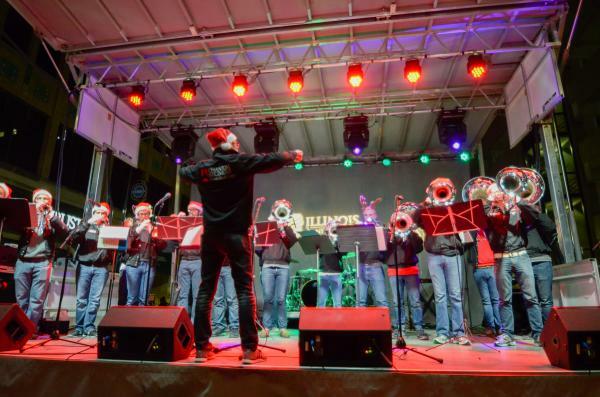 The Nordlof Center will also have entertainment including "James and the Giant Peach" presented by The Studio, an adaptation of "The Wizard of Oz" by Gigi&apos;s Playhouse, and a "Christmas-Kwanzaa Celebration" by Rockford Readers Theater. 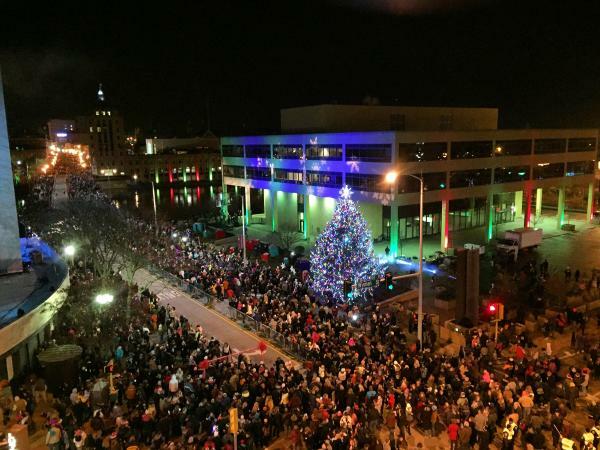 This is the moment when the community gathers together to officially kick off the holiday season with Rockford&apos;s official tree lighting ceremony beginning at 6 p.m.! The tree is located at the corner of State & Wyman Streets. Sponsored by SwedishAmerican, a division of UW Health! The Sky Lights Fireworks Show sponsored by Gallagher Williams-Manny Insurance Group immediately follows the Tree Lighting Ceremony. Arrive early to claim your viewing spot! Wondering how to share your favorite snaps, tweets and posts with the rest of the world? Simple. Use #strollonstate on your social media channels and pass the word to your friends and fans! Follow the Go Rockford channels on Facebook, Snapchat, Instagram and Twitter all night long to get an inside view of the event. There you have it folks, a few of our team&apos;s insider tips to help make the most of your night at Stroll on State. For additional details be sure to visit strollonstate.com!